Shiver me whiskers! Today is World Oceans Day! To celebrate we’re offering 25% off the price of a Family 4-pack of tickets! Buy 3 tickets get 1 free! 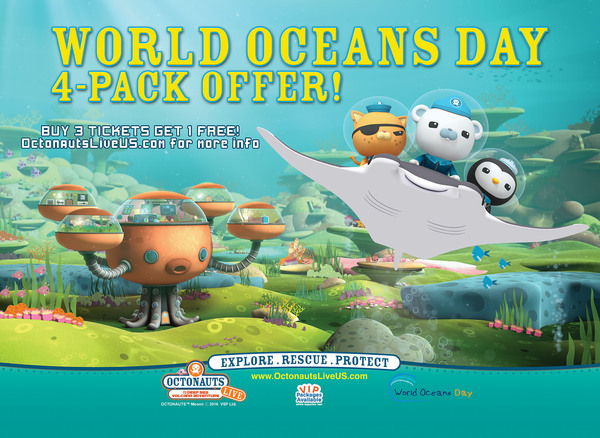 The “World Oceans Day 4-pack offer” starts today and will be running for a week at participating venues. For shows sold through Ticketmaster, select the Me+3 option when purchasing. For events sold on a Non-Ticketmaster platform, simply purchase 4 tickets to receive your discount.